One of the biggest clutter hotspots we’ve had to figure out how to organize in our house is our pantry. 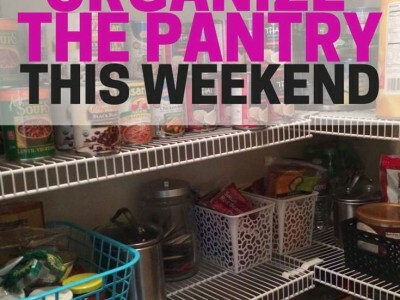 Don’t get me wrong – I’m very grateful to have the pantry, but I have the toughest time keeping it neat and organized. 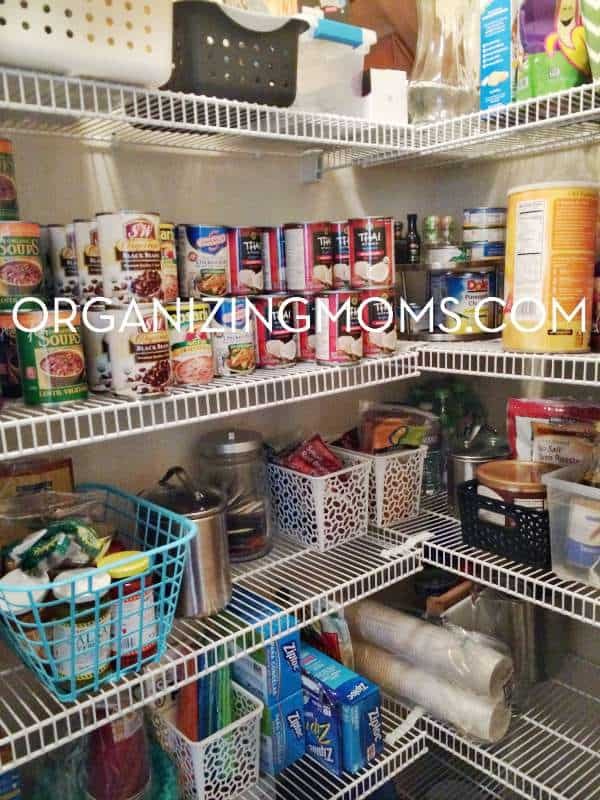 I’ve spent a lot of time on pantry organization, and I’ve come to the realization that I’m going to have to constantly be re-working it to make it work for our family. 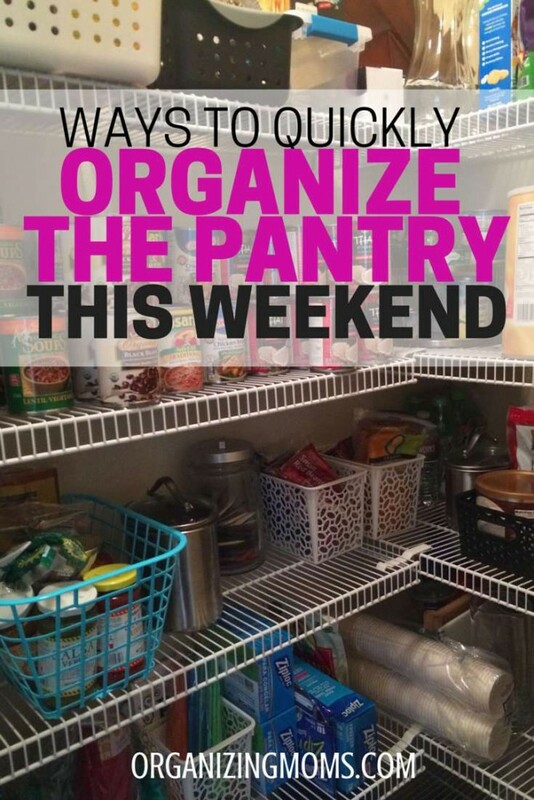 Luckily, I stumbled upon a way to quickly organize the pantry. One thing I’ve been doing lately is using containers to house like-items together. As I’ve been decluttering the rest of our house, I’ve come upon a lot of old organizing bins that we don’t need any more. Any time I find one, I look to see if I could use it in our pantry. If you don’t have a Target/Container Store-buying issue like I do, you could use shoe boxes or something similar to store group items together. Candy! On a high shelf! Putting similar items together in bins didn’t take a lot of time at all, and I was happy that I was able to put the remains of forgotten organizing projects to use. Plus, having these bins has made finding things and putting food away so much easier. It’s also kept a lot of things out of the reach and view of little hands. 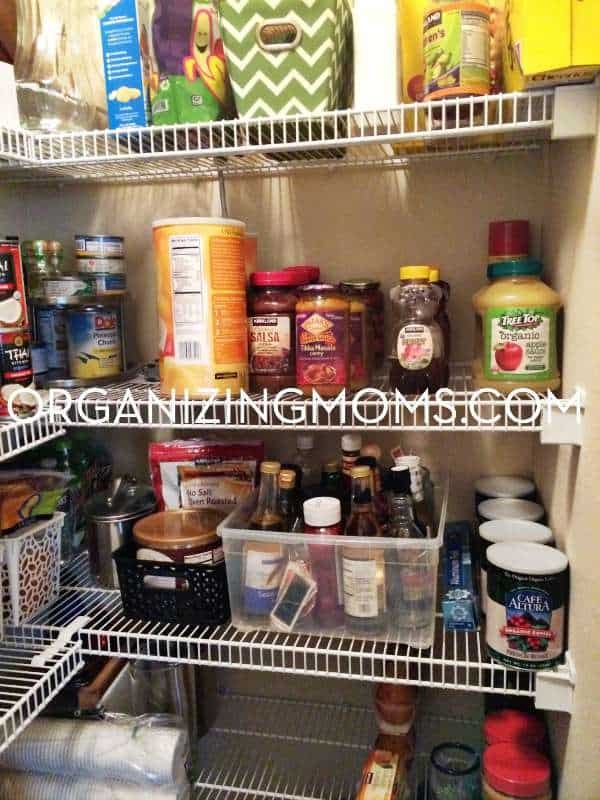 I’m sure that I will always be trying to keep up with the organization in our pantry, but I have been happy with the results of using what we already had on-hand to organize everything. 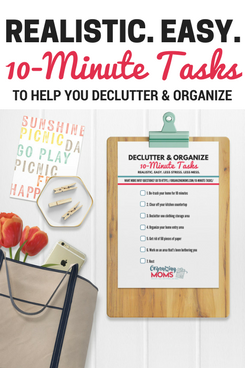 Do you have any unused organizing bins in your home? Could they be revived and used in a new project? Want to get organizing tips delivered directly to your inbox? Sign up for the Organizing Moms newsletter!